Tin whiskers – those single-crystal filaments that often emerge when microcircuits soldered with pure or almost pure tin are subjected to compressive stress – have been blamed for the dangerous failure of electronic devices ranging from heart pacemakers, to satellites, to nuclear power plants. 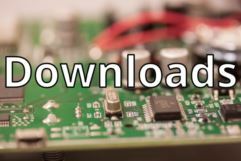 The aerospace and military industries in particular are required to remove any tin finish on microelectronic parts to better ensure their reliability. This process is called mitigation. And the simplest, most cost-effective method of mitigation is to remove all of the tin and refinish the part with a Tin-Lead (SnPb) solder. AcousTech enters the picture before and after the robotic hot-solder dipping has been performed. Our use of C-mode scanning acoustic microscopy (C-SAM®) verifies with exceptional accuracy whether or not the extreme heat of the mitigation process has negatively affected a microelectronic part. Though the aerospace and military industries are our biggest customers for this, other test labs and brokers frequently call on our mitigation-related services. Of course, we extend our help with Tin Whisker Mitigation to all of the industries we serve, as they need us. a CD that includes all images taken during the tests. Questions? 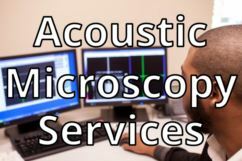 Contact AcousTech. We’ll be happy to explain more about how our services can be of use in your Tin Whisker Mitigation assessment. 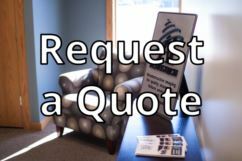 And when you’re ready, be sure to Request a Quote.